It’s no secret that campus visits are essential to finding your Cinderella-shoe college or university—the one that fits you perfectly. They give you a chance to meet faculty, interact with current students, explore the area, maybe attend some campus events or classes, and discover whether you’re comfortable there. But after a few open houses and campus tours, you might feel the process becomes a bit tired. Your prospective colleges and universities become a blur of vibrant colors, overzealous mascots, and “one-of-a-kind” programs. You might even start the process tired: just imagining wandering around a new place laden with brochures and information can be exhausting. But you won’t get as much out of your college visits if you’re bored and tired. That’s why we’ve come up with some ways to make those campus visits more fun! 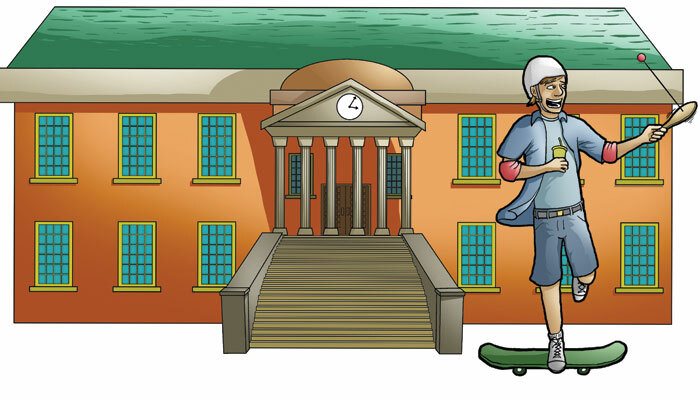 College campuses tend to have a lot of the same buildings and amenities. Every campus has at least one dining hall and a library, not to mention residence halls, the student union, and the admission office. 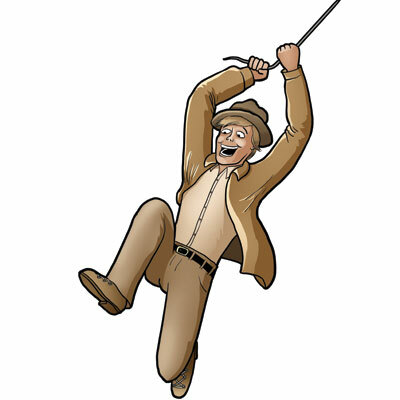 So why not make a scavenger hunt to ease onto the campus and have some fun during your visit? You can also get together with some friends before you all go to separate college tours or open houses and set a prize for whoever finds the most items on the list. (Remember, bragging rights count as a prize.) Make sure you take lots of pictures; not only does this prove you found what you were looking for, but it gives you and your friends visuals to go along with stories from your different excursions. You basically get to go on extra college tours without any additional effort (or cost), and pics can help you remember what each campus you visited looks like. And remember, not everything on the scavenger hunt list has to be serious. “Form a conga line with at least three current students and/or faculty members” is completely acceptable, if not highly recommended. 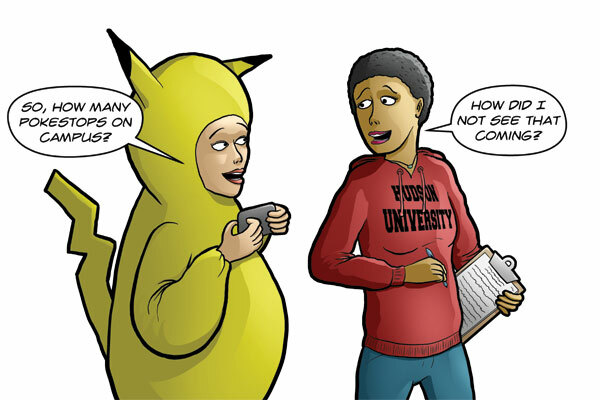 Speaking of the sillier side to college visits, you’ll hear and ask lots of questions when you visit campus. Most of them are about pretty important stuff, such as scholarships, classes and workload, major-specific topics, and residence life. But there are a lot of burning questions that never get answered because they don’t seem to fit the mood. Those are the kinds of questions you want to ask. Is there a 24-hour diner you can go to when you and your study buddies pull an all-nighter? Is laundry free? What’s the most popular unofficial campus tradition? Does the campus cable package include The Food Network? Are the residence halls haunted? Follow-up: who is the friendliest ghost? Don’t just wait until you attend a school to learn about these things. They’re all important to your college experience. The ability to order pizza at 2:00 am might end up being a tiebreaker if you’re torn between two otherwise similar colleges. Plus, everyone’s nervous on college tours, and an unusual question is a great way to break the ice. Colleges like to give away free stuff and lots of it. From mascots waving T-shirt cannons to mountains of pens everywhere, there’s no shortage of swag on a campus visit, and they kick it into high gear for open houses. Water bottles, reusable shopping bags, thumb drives, key chains, travel mugs—you name it, the school probably has their logo on it. A lot of open houses also hold raffles for fantastic prizes that most people forget to enter. With so much free stuff, it can be overwhelming. Should you grab the can koozie or the tumbler? Do you really need another sticker, or does a refrigerator magnet make more sense? Instead of making decisions, pull an Ash Ketchum and collect them all! Have a contest with your friends to see who can collect the most free stuff on a college visit. The losers have to forfeit a pen from each of their colleges to the winner—a small price to pay, really. Why go crazy picking up the free stuff? The reason is threefold: First, you’ll probably have to interact with someone to get each item. This helps you talk to different college representatives—admission counselors, student leaders, faculty—if you’re shy. Second, if you plan to attend the college if you’re accepted, you’ll spend less money buying stuff with the school’s name on it because you already have a bunch. Third, it’s free. Location is important when choosing a college. Think of the surrounding area as your campus too, not just the college itself. You should like it if you’re planning to spend four years of your life there. Make exploring even more fun by making some new friends. Talk to a few other people in your info sessions, especially someone who’s interested in the same major as you. Most prospective student days will have some form of downtime in the schedule. When that time comes around, grab your new friend(s) and head out to explore the area surrounding the college. You don’t have to spend money or do more than just walk around, get a vibe for the area, and get to know each other. You want to really get a feel for the location. Figure out where the closest coffee shop and pharmacy are. Find a gas station and compare the price per gallon to what you’re paying at home if you’re thinking of bringing your car to college. If you have time for lunch, pick something up at a local restaurant. Ask a current student or your tour guide what you absolutely can’t miss around town. Ask a few people and see if they have similar or different answers. Instead of attending just info sessions and tours, see if you can visit a college on the day of a big game to gauge the school spirit. If you want to participate in an extracurricular activity like the drama club, dance team, or improv troupe, visit when they have a performance. Make sure you stick around after the performance to talk to different members of the group. You can also ask the admission office about shadow opportunities or fly-in programs, where you get to follow a current student for a whole day and even sleep over on campus. You’ll be able to experience more college courses and get a stronger handle on how to be a college student. Plus, you’ll have more time to ask questions and wander around campus than you would on a tightly scheduled prospective student day. After you have a few campus visits under your belt, you’ll know what parts you like and which ones you can skip. Maybe you don’t have to have a meal at every cafeteria, but you really want to go to all the info sessions related to your major. Maybe you’re undecided on a major, but you know you want to join an a cappella group, so you’ll always make a beeline to the activities fair. Check out the parts of the campus that are important to you; that’s how you’ll definitely have the most fun campus visits. 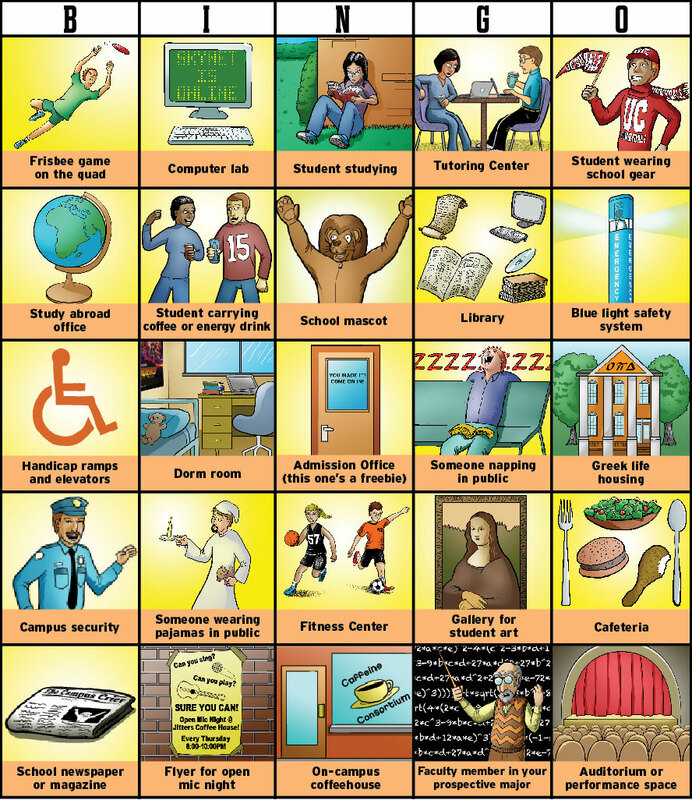 For even more fun…play Campus Visit Bingo! Make sure to share your finished card with us! Take a picture and tweet us @CollegeXpress, and you might just get a little prize for all your hard work.